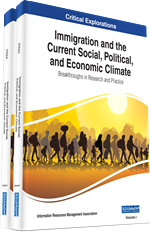 Transnational migration has important implications on the respective country of departure and its political dynamics. This article addresses informal practices and processes of informalization during migration from dictatorially ruled Eritrea in North-East-Africa. On the base of dense ethnography among refugees and migrants in neighboring Ethiopia the article discusses migration's cultural and social effects and sheds a light on the potential role of migrants in Eritrea's expected political transition. It will be argued that refugees and migrants are unable to fully liberate themselves from Eritrea's authoritarian political culture while seeking prosperity, democracy and human rights elsewhere. Instead they blunder into informal practices such as deceit, exploitation and denial of solidarity, which inevitably backfire on social and political life. Eritrea, a small African country at the shores of the Red Sea, reached formal independence only in 1993, after the Eritrean People’s Liberation Front (EPLF) had finally won a war of 30 years against neighboring Ethiopia. Eritrea has a total population of roughly six million people, plus a global Diaspora abroad that may make up another million people at best. This Diaspora originates from emigration during the 1980s and again after 2002. In the 1990s, however, Eritrea was widely considered a promising example for Africa’s progress towards development, peace and democracy. Such hopes did not come true. During the last decade the country has become internationally known for its harsh and brutal dictatorship. In order to develop an anthropological understanding of these risks and hopes, the subsequently emerging culture of migration and its potential consequences for a political future of the country, theoretical concepts such as informality and existence will be discussed.